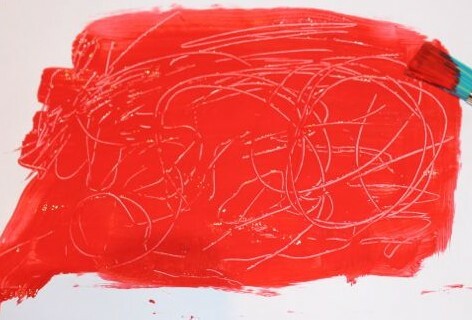 This is a simple painting activity that can be done with just one colour. 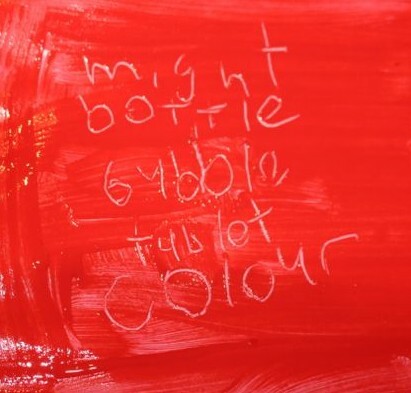 First the kids spread some paint across a white piece of paper. The paint needs to be thick enough to make marks in, but not so thick that the paper will take days to dry! 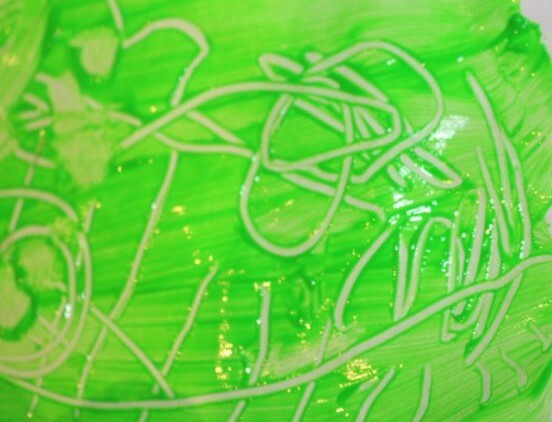 Once the paint is spread across the paper with a fat brush, the kids then used the end of a thin brush to draw a picture in the paint. 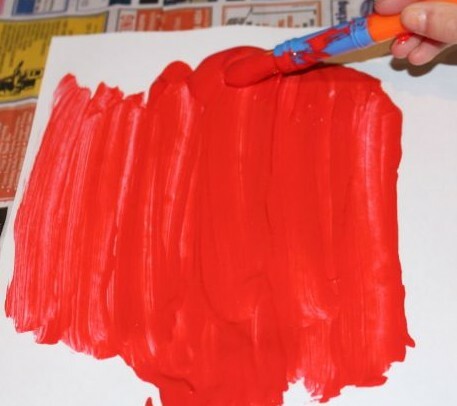 The end of the paint brush scrapes away the paint, leaving a lighter section behind it. L scratching out her picture. 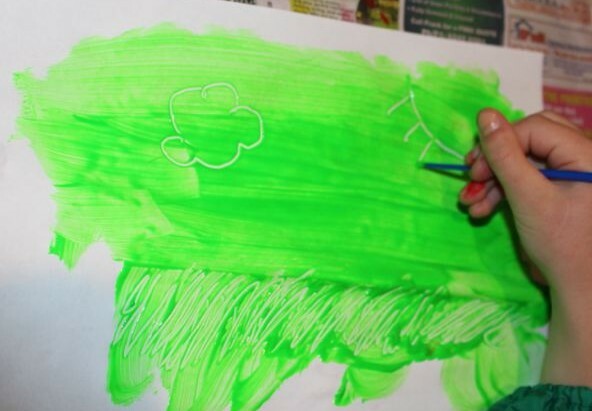 On A’s second painting, she used a fatter paintbrush to draw her picture (well swirls and squiggles anyway). Done with a thicker paintbrush. L also used this activity to practice her spelling words. 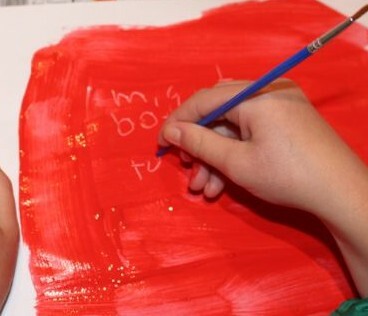 It took a while for the paint to dry as L put it on a bit thick, but once it was dry, we stuck the page in her spelling journal so she could show her teacher. Scratching out her spelling words.